I cannot believe that it is only a few days until Christmas! Most of my gifts are purchased or sewn, ready to be wrapped. But we still have to finish some baking and put together our miniature Gingerbread Village. And I’m really looking forward to that! 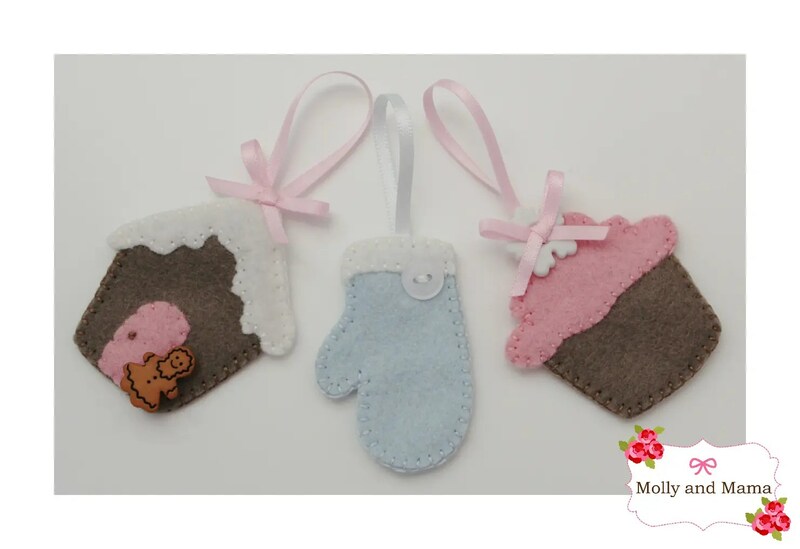 In the last week I have created a few little pieces for some very special little people. I came across the most adorable felt ornaments at Imagine Our Life. 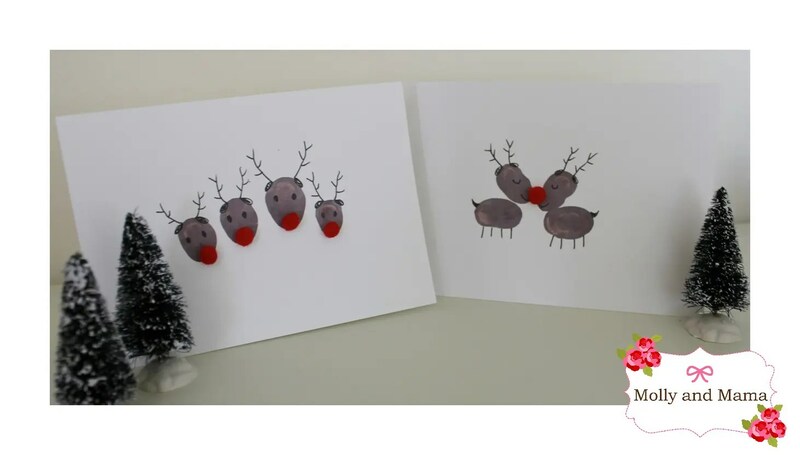 Stephanie has created patterns and tutorials for a whole advent of these darling little decorations (so make sure you pop over and take a peek)! Being time poor, I used her templates and ideas but simplified the stitching. I’m not sure they’re as pretty as hers, but they still turned out really sweet. They’re for three young children and travelling across the seas, so I hope they’re loved and cherished. I also wanted to give our closest friends some hand made Christmas cards. That reminds me, I have a few I have yet to deliver! These were so simple to create. For these reindeer cards I purchased plain cards and envelopes from the local print supply store. I used brown paint to ‘finger paint’ the outlines on. Once dry, I used a fine tipped ink marker to draw on the details. I also glued on tiny red pom poms. So simple and so cute! I also found these lovely scallop topped blank cards from the cheap store up the road. And I thought they were perfect for this cute card idea I saw on Pinterest. I just hot glued on some buttons and then turned them into baubles with a fine tipped ink pen. I think the effect is just lovely! The kids were also keen to make some pretty little snow globes. We had lots of trouble sourcing supplies at the last minute. But we made do. I bought some Christmas Village topiary trees from our local department store (as that was all I could find). The cheap store provided the snow-like confetti. My son donated some old plastic figurines. And we bought some clear plastic cups from the supermarket. trace around the rim of the cup onto some heavy cardstock, and cut out. 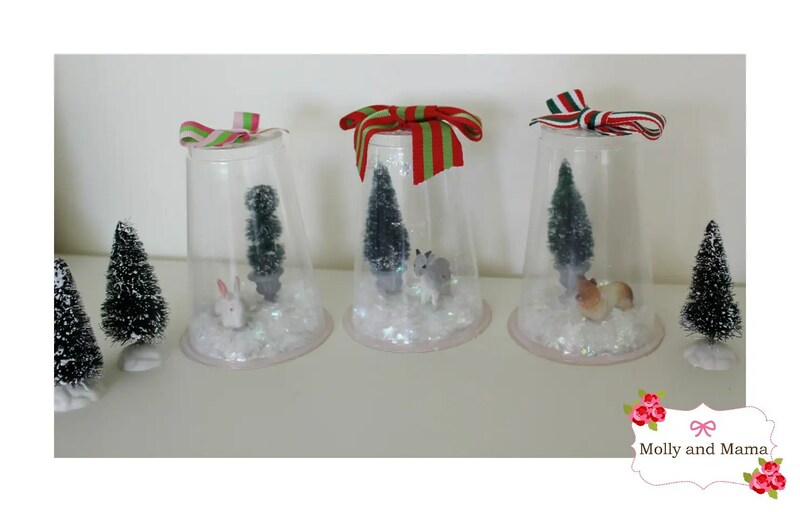 using hot glue, secure the tree and the figurine to the cardstock (being sure that your cup will fit on over the scene). I have seen figurines painted gold or dipped in glitter. These would make a gorgeous addition! Pour a small amount of snow (confetti) into the bottom of your cup. Run some hot glue around the rim of your cup, then be very quick with the next step! Pick up your cardboard scene, flip it upside down, and secure it to the rim of the cup. 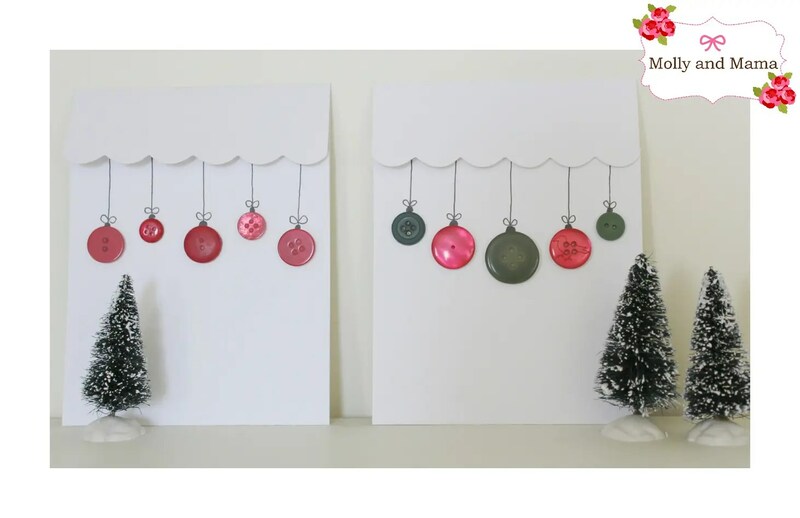 Turn your cup over and secure a bow, pom pom, or hanger to the ‘top’ of your decoration! 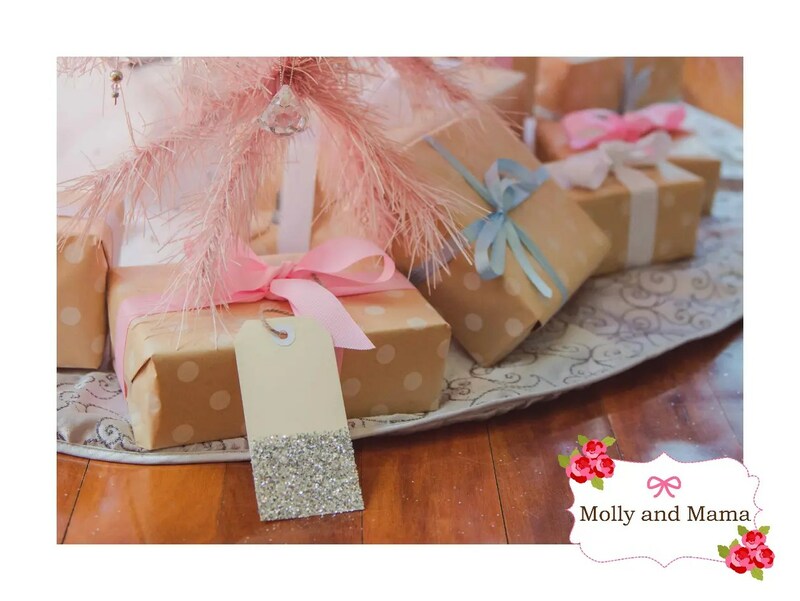 I also created a few more glitter luggage tags to use as gift tags for my presents. I have rolls of brown paper that I still plan to adorn with white and silver polka dots. So these will look darling on the top! Just paint the base with craft glue and liberally sprinkle with glitter. Wish me luck with my last minute preparations! I’d love to see what you’re creating too!